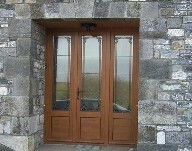 We supply and fit high class windows and doors at competitive prices. Please browse our website to view some samples of our work. Maher Windows established in 1983 is a family run business supplying and fitting windows and doors to the highest quality standards at competitive prices. We guarantee the highest possible quality and service. All our Products are manufactured at our factory 2 miles outside Nenagh. We employ 12 people helping the local economy. Contact us today for our best quote. Now fully approved by the NSAI . (National Standards Authority of Ireland) is Ireland’s official standards body. Who operate under the National Standards Authority of Ireland Act (1996) and are accountable to the Minister of Enterprise, Trade, Employment and Innovation.